STALKING OWL, Quvianaqtuk Pudlat, Lithograph, 22.25 x 30 in. The 59th iteration of this landmark release arrives this month. Take a trip back in time to the late 1950s and you’ll find a very different perspective. Prior to the 1950s, the primary avenue for artistic expression among the Inuit was found in its decorative carvings and appliquéd designs on clothing and bags. Experimentation with printmaking began in the late 1950’s, with the assistance of James Houston,then an area administrator for South Baffin Island. Initial efforts included the relief process on locally sourced stone and stencils on paper. Houston studied Japanese woodcut printing and introduced the use of Japanese paper which is used to this day. The first official collection was released on 1959 to great success. 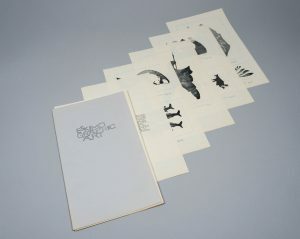 Every year since then, an annual collection with an accompanying catalogue has been released. Through the years, the collection has become a fixture on the art calendar in Canada. People have lined up at galleries across the country to get first dibs on their favoured print. Here at Feheley, we’ve had people line up overnight. Not for a rock concert or playoff game, but for early access to the latest release of Inuit prints. Pat Feheley remembers these releases from her early childhood, and her father’s publishing company was responsible for designing and printing the annual print catalogues in the 1970s. She was also honoured to speak at the local release held in the Kinngait Studios in Cape Dorset several years ago. As is Feheley’s custom, the gallery is holding a parallel exhibition of drawings by one of the artists represented in the annual collection. This year, the gallery is featuring six prints by a newcomer to the release, Quvianaqtuk Pudlat. And just in case you need another reason to attend this year’s reception on Thursday, October 18th, we’re also having a talk by Anna Gaby-Trotz, artist/printer from Open Studio in Toronto who collaborated with the Kinngait Studios in Cape Dorset ant also worked with Tim Pitsiulak during his residency at the Open Studio. We’re all eager with anticipation for this year’s release. 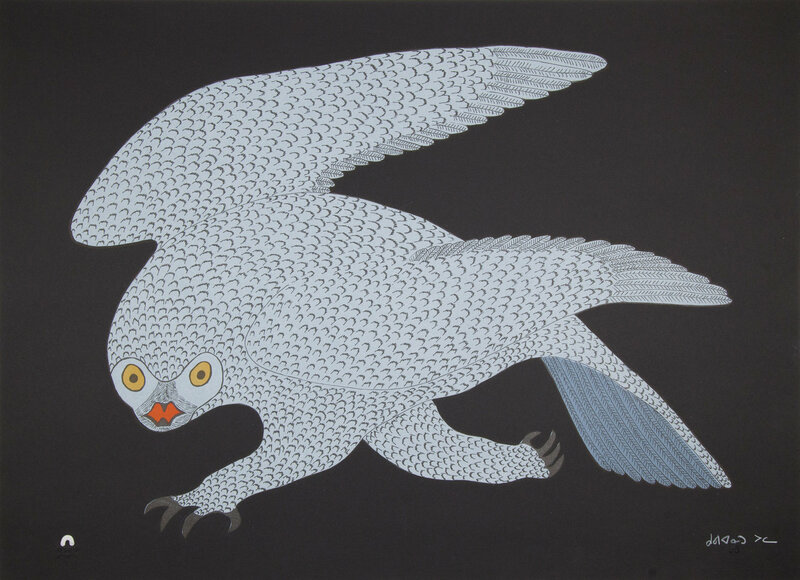 It serves as an annual reminder of the talent that continues to emerge from Cape Dorset. 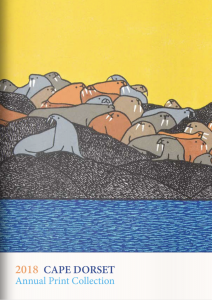 The 2018 Cape Dorset Annual Print Collection is officially released on October 20, 2018. Feheley’s preview reception is on Thursday, October 18th at 6:00 pm. View the Collection.